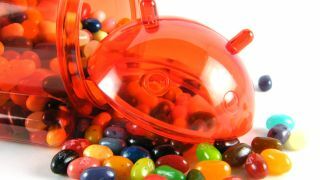 It looks like the fragmented Android ecosystem is finally sorting itself out, as Android Jelly Bean found itself on a quarter of all devices in March. The now-ancient Gingerbread (or version 2.3 if you prefer) still appears on the most handsets, accounting for 39.8 per cent of the Android market - but that is down 4.4 per cent on February's stats. Both Ice Cream Sandwich (4.0) and Jelly Bean (4.1 & 4.2) are hot on its heels, with the latter witnessing a healthy 8.5 per cent boost month on month.